"Touch... the first sense we learn and the last to leave us. In the lifetime between we experience much of the world through touch: the guiding hands of a parent, the trusted grip of a friend, the warm caress of a loved one, the compassionate soothing of a care giver. We remember the physical connections when time and distance, even death, separate us from the people we love." With the ever evolving changes in the funeral industry today, we are proud to offer a wonderful keepsake to our families. 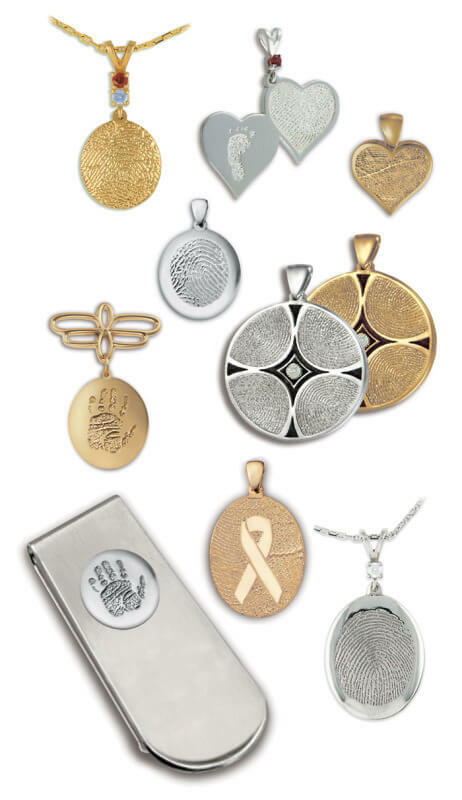 With the use of technology, we are able to obtain a thumb print of your loved one and create a unique three-dimensional piece of jewelry which can be customized to your liking. To view a brochure on "Thumbies" you can click here. A retail price list may be found here. For more information on "Thumbies" or for pricing, please contact our office at 563-355-1751.